Posted on December 15, 2016 at 2:29 pm. During the holiday season, many vendors and contractors express their appreciation to APS, frequently in the form of gifts of various sorts. Because the actions of public employees are subject to intense and constant scrutiny, acceptance of such gifts could be easily misconstrued and result in embarrassment to both the giver and the receiver. There are many situations under existing Virginia law which prohibit the offering of gifts to Arlington Public Schools employees and there are Arlington Public Schools regulations which prohibit their acceptance*. The APS Department of Finance and Management Services reminds all employees involved in transactions with vendors and contractors that it is better to decline any gift or gratuity offered by a vendor or contractor, than to subject themselves to possible violation of existing laws and policies.All employees should be aware that, even where acceptance of such gifts may be technically within the law, the appearance of impropriety can be as damaging to the image of Arlington Public Schools and the employee as actual impropriety. *Refer to the Code of Virginia § 2.2-4371, Prohibition on solicitation or acceptance of gifts; gifts by bidders, offerors, contractor or subcontractor prohibited; Conduct; Article 9 of the Arlington Public Schools Purchasing Resolution, Ethics in Public Contracting; Arlington Public Schools Policy Implementation Procedures 40-1.14 Financial Management – Gifts to Employees and 40-4.17 Procurement Procedures – Ethics. The circumstances under which gifts may be received by APS employees are outlined below. Employees may accept gifts valued at a total of $100 or less during a school year from any one student, individual, family or organization, including PTAs and Booster organizations. In no instance shall an employee accept a gift given for services performed within the scope of the employee’s duties or given with the intent to influence an employee’s actions. 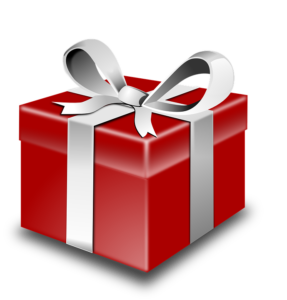 Any single gift valued at more than $100, or gifts totaling more than $100 from one giver during the course of a year, must be returned to the giver. Refer to School Board Policy 40-1.14 Financial Management – Gifts to Employees for more information.